I have a new love in my life. He’s quiet, a classic, comfy to hold and hug to me. He lets me touch him whenever I want, enjoys my cuddling with him on the couch while I watch tv, comes out with me to social events and joins in with enthusiasm. He, like me, enjoys all kinds of music, from rock and roll to Peter, Paul and Mary. He’s as thrilled as me that I’ve found the music for Classical Gas by Mason Williams. But, like most grown ups, he’s also good on his own. He’s content to do is own thing if I’m away doing mine. He’s not threatened by others like him. One day, we hope to travel together, maybe to Newfoundland, where we can hang out in the pubs with the locals. Or just sit and watch the sunrise together, maybe singing a tune together. Maybe “Morning Has Broken” or something. We don’t know. He even understands I might leave him behind and take my shorter friend. I don’t know how long my infatuation will last, but it’s pretty strong right now. I’ve known lots of other instruments, but none of them have taken to me the same way he has. It’s so easy being with him. We simply seem right together. 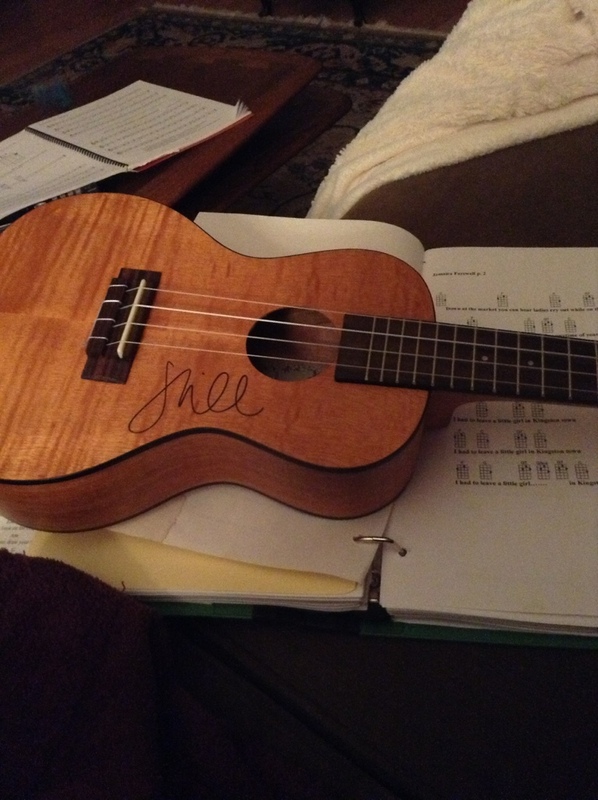 We have the same odd sense of the world, me and my ukulele. I think this is the beginning of a wonderful relationship.